Same as all the other official Google apps, the company has totally reworked on the Calendar app as well for the new Android 5.0 material design. According to the company, the upgrade of the Calendar app is smarter, more colourful, and all-around more helpful. This new app has been reinvented in the ‘Material Design’ style that’s working its way across all Google apps. The major part of the new upgrade is all about making, adding and viewing events much easier. With the new upgrade, Calendar will automatically pull events, such as booked reservations, flights, or concerts, out of your inbox and add them to your calendar. This new upgrade will also help you enter events by automatically filling in the information as you type, such as your contacts and nearby locations. There is a new feature onboard with the new upgrade called ‘Schedule View,’ which just displays your upcoming appointments. They’re all given big, colourful backgrounds, often with images that are contextual to the events, which should make them easier to browse through. Third-party calendar apps that plug into Google have continued to add new and more intelligent features, and this release in many ways feels like Google has left no stones unturned. 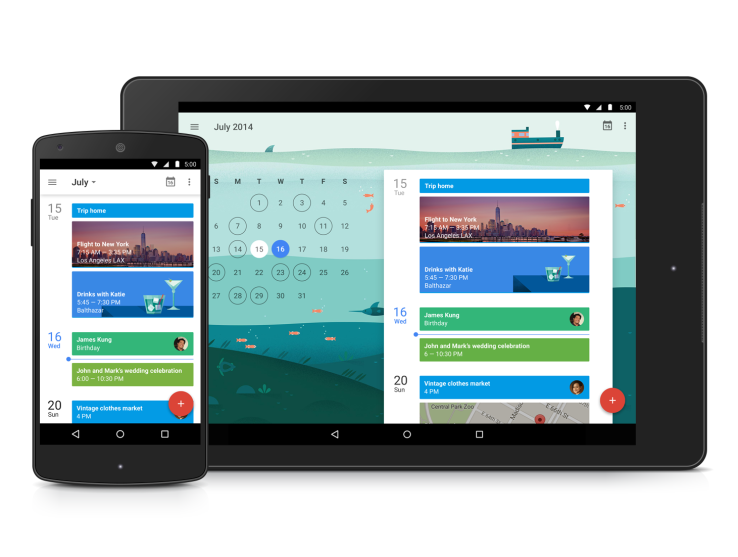 Apart from this, another surprising news is that this new Google Calendar app will be available for iOS devices too. While there have been a good number of ways to access your Google Calendar on the iPhone and iPad, including through Apple’s Calendar app, this will be the first time Google has actually released a proper Calendar app for iOS. The app is already available on the devices running on Android 5.0, however, the company will roll it out to the Play Store over the coming weeks for everyone running Android 4.1 and above.